An extremely well-kept home with a well-thought-out floor plan, this property is sure to impress! 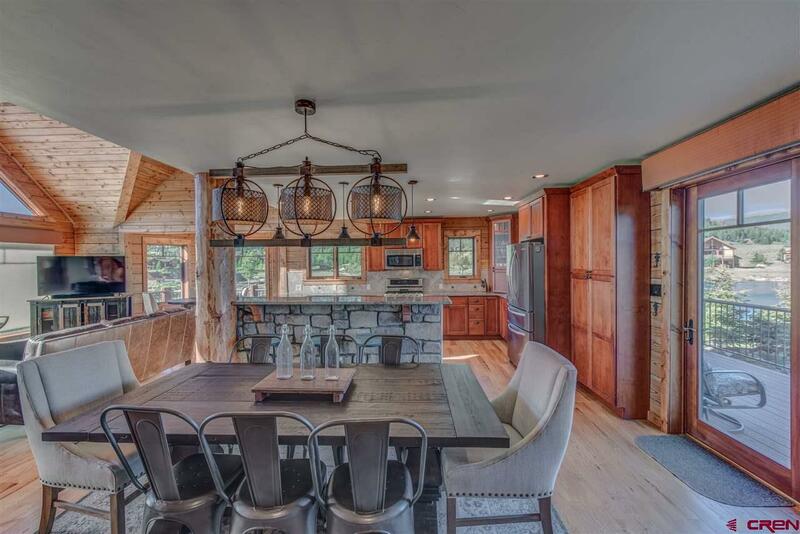 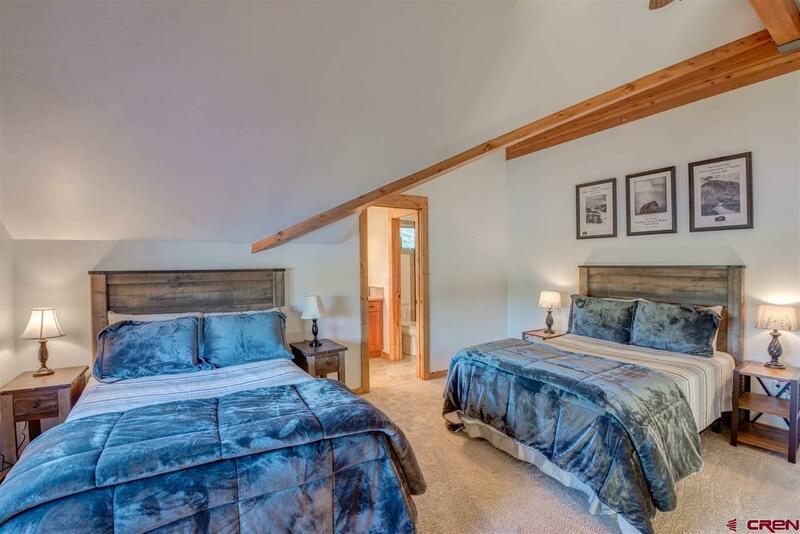 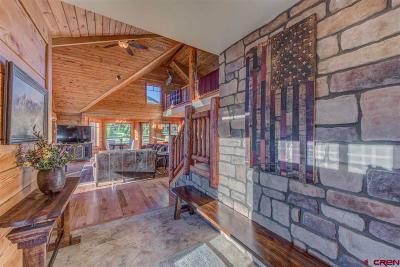 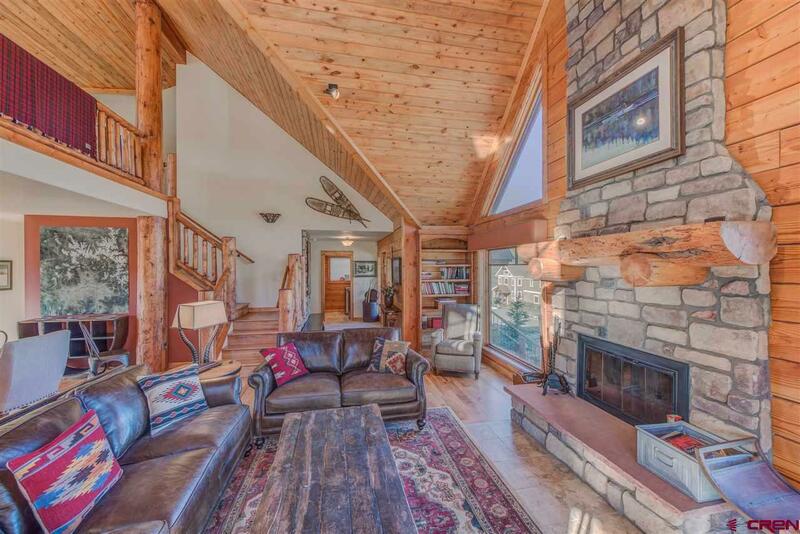 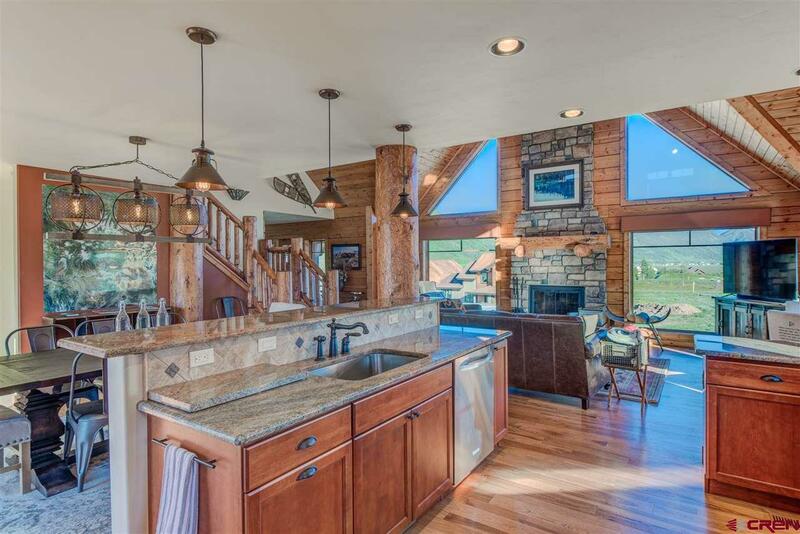 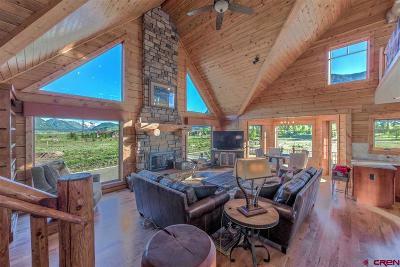 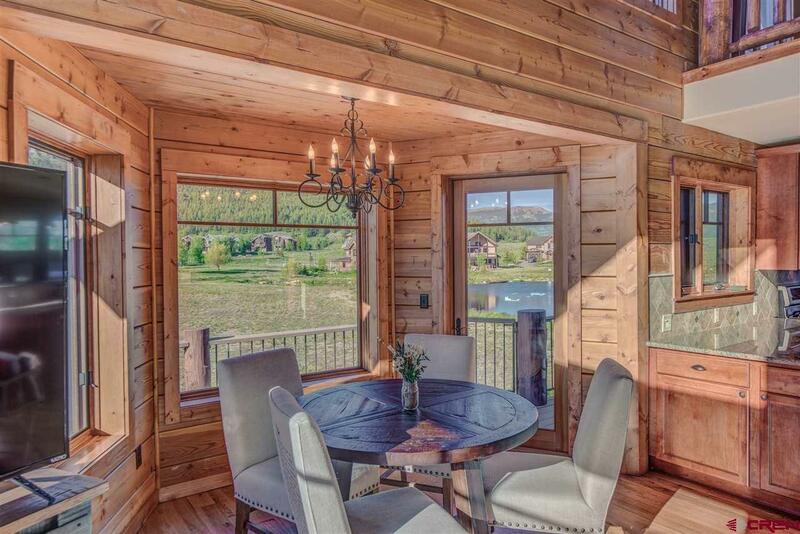 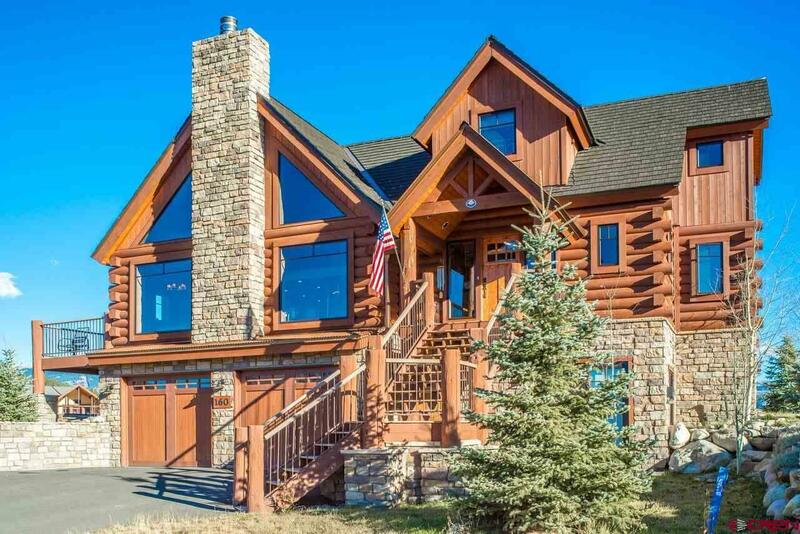 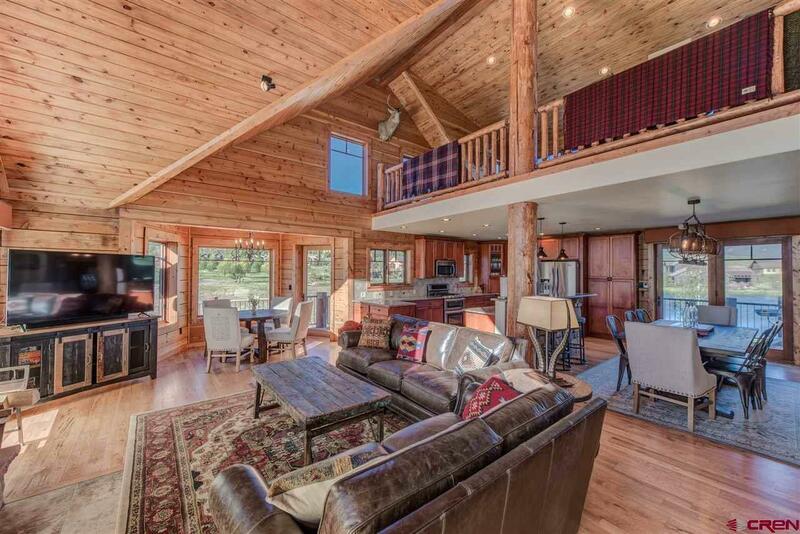 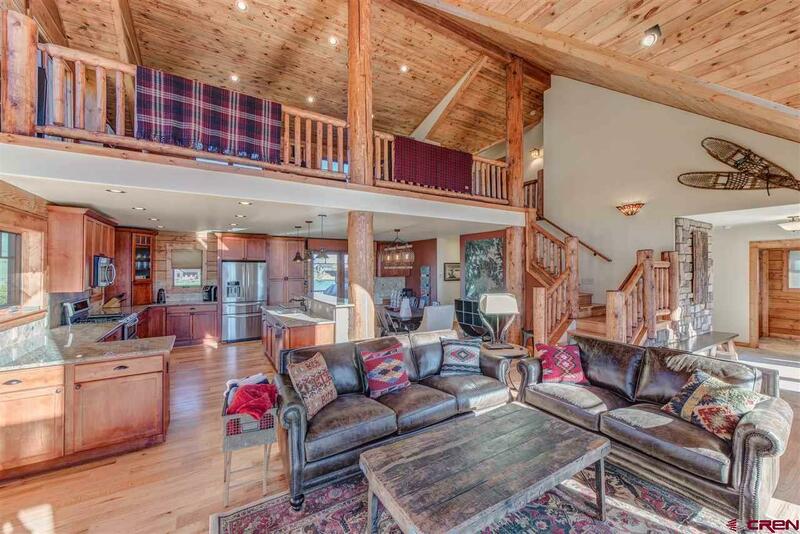 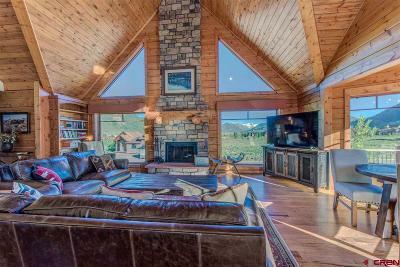 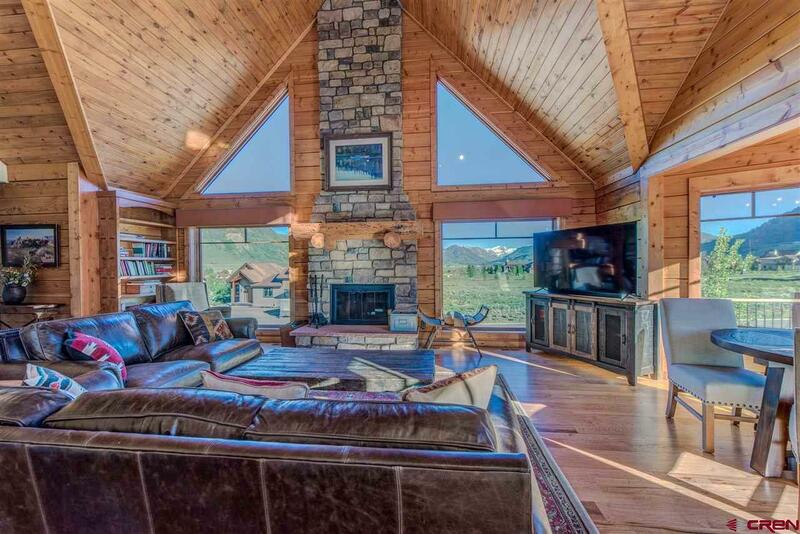 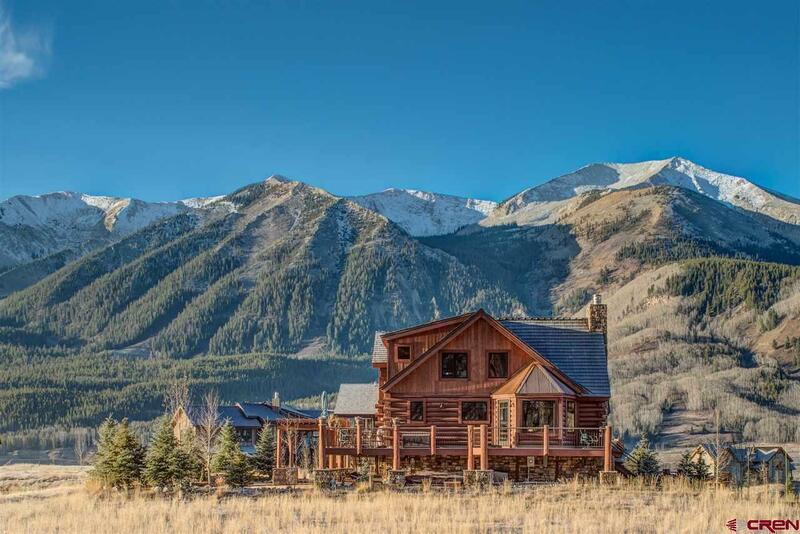 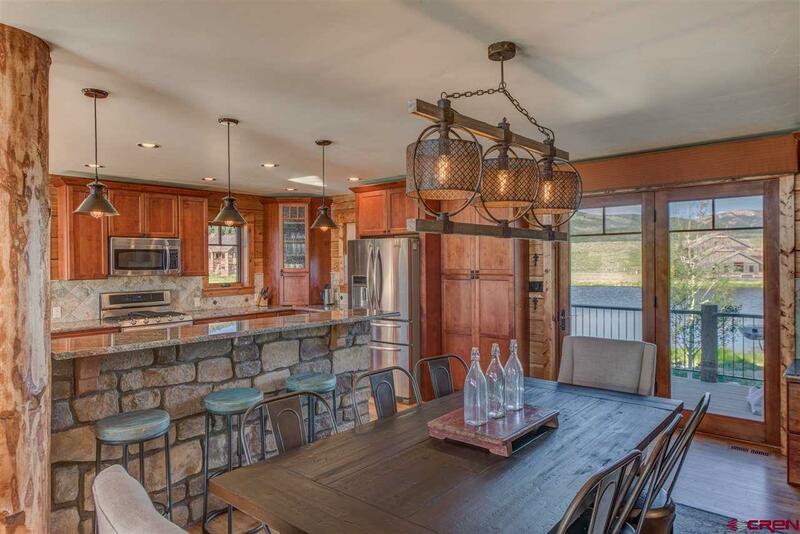 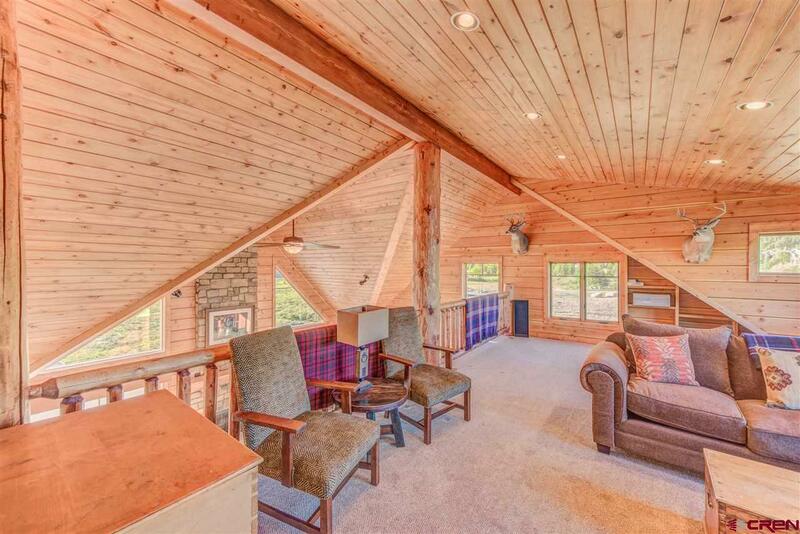 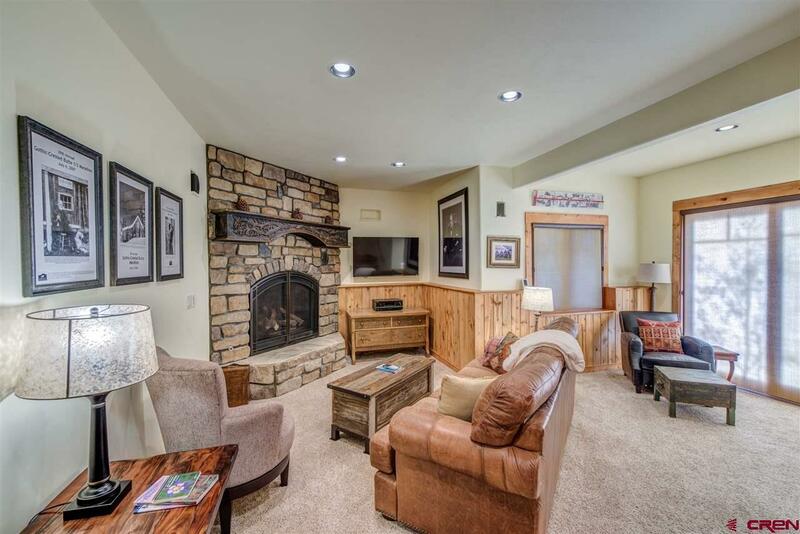 The main level features a very open living area with vaulted ceilings, log beams, hardwood floors, large stone woodburning fireplace and large windows that take in the mountain and lake views. 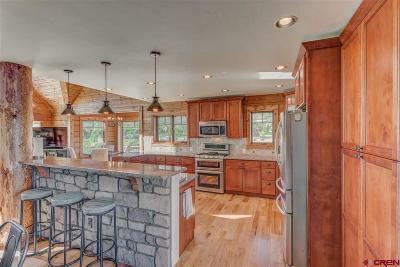 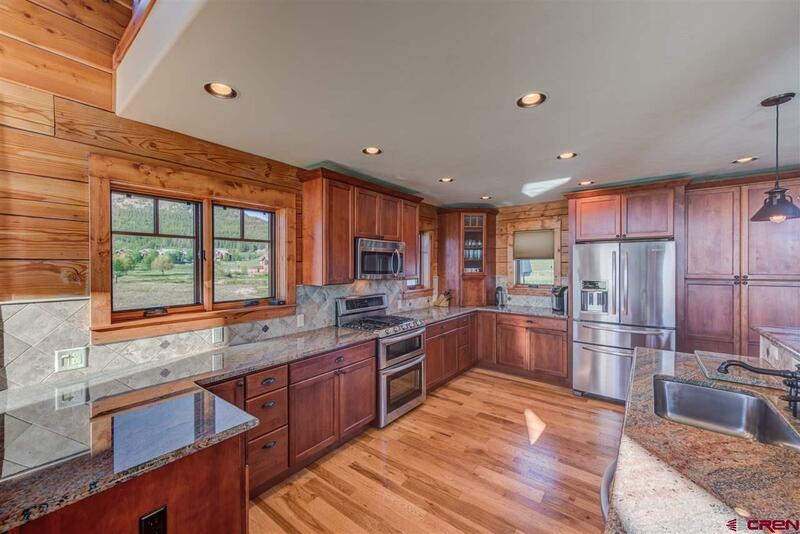 A spacious kitchen features high-end appliances, plenty of cabinet space and doors that lead out to a lovely deck and arbor overlooking the lake where you can warm up with coffee and enjoy the morning sunrise. 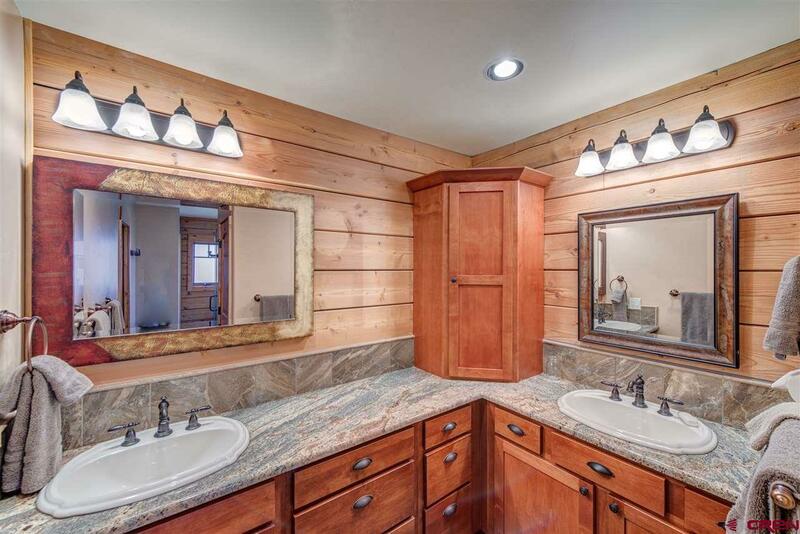 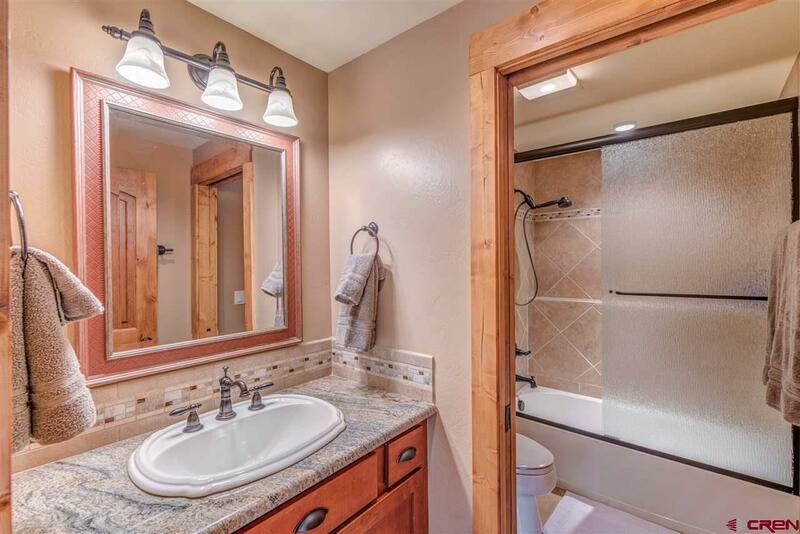 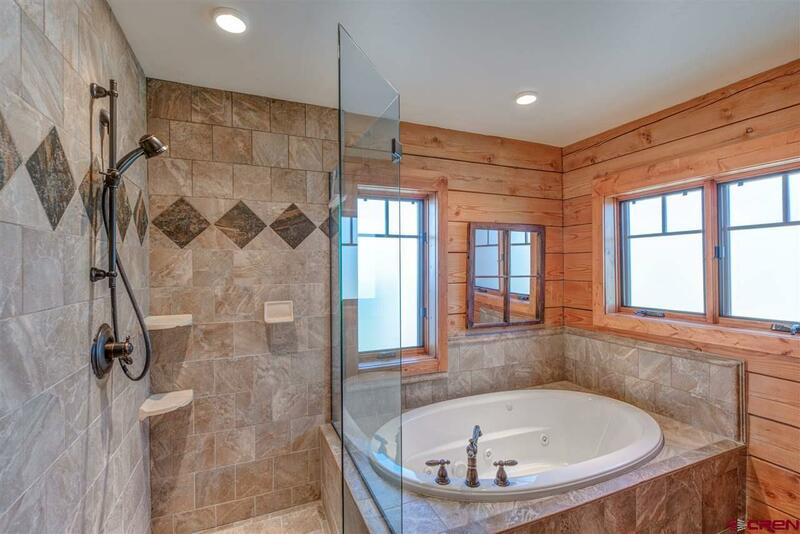 The main level also features the master suite with large jetted tub. 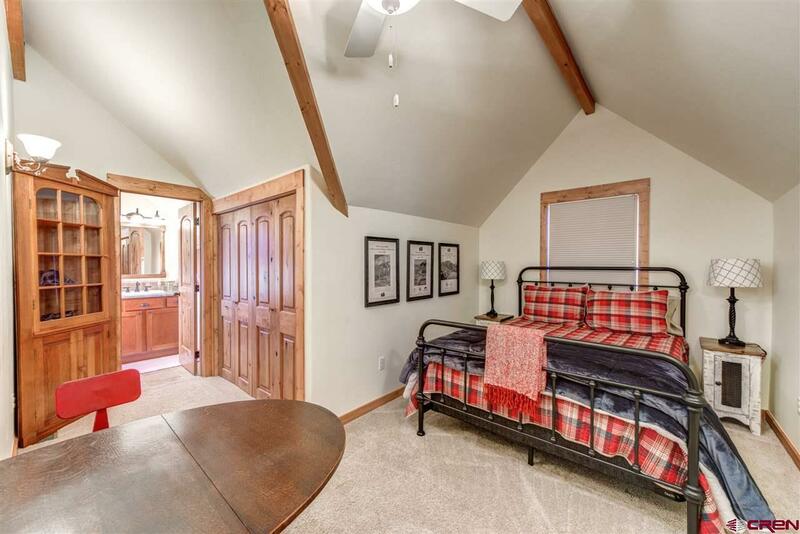 Upstairs features a spacious loft/office area with views out toward the lake, and two bedrooms that share a jack and jill bathroom. 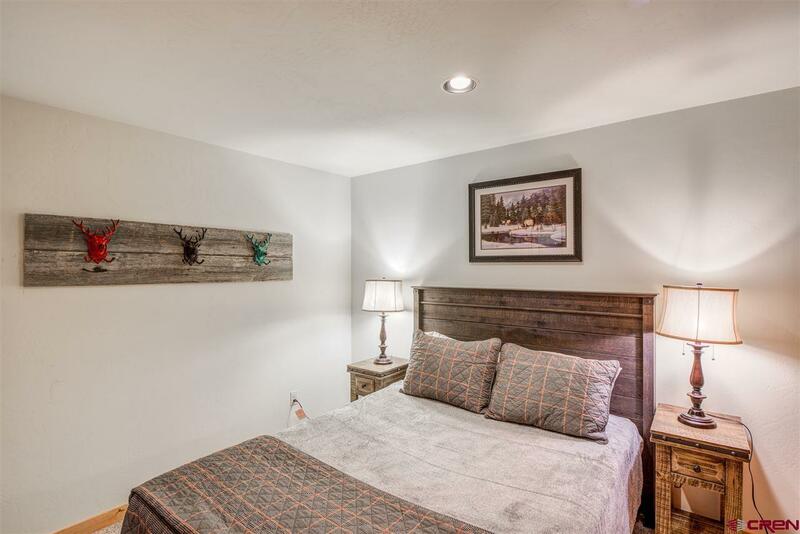 Downstairs has two large bedrooms, a full bathroom, a family/TV room with gas fireplace, and access to the two-car garage. 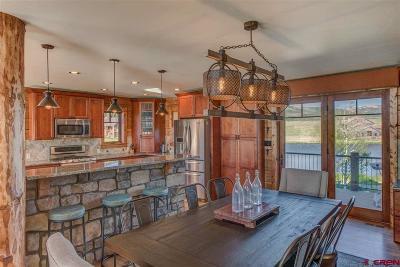 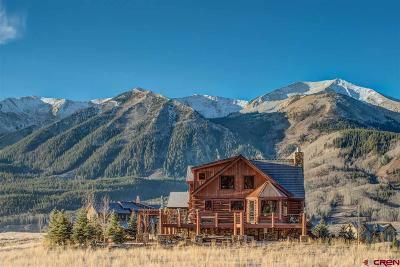 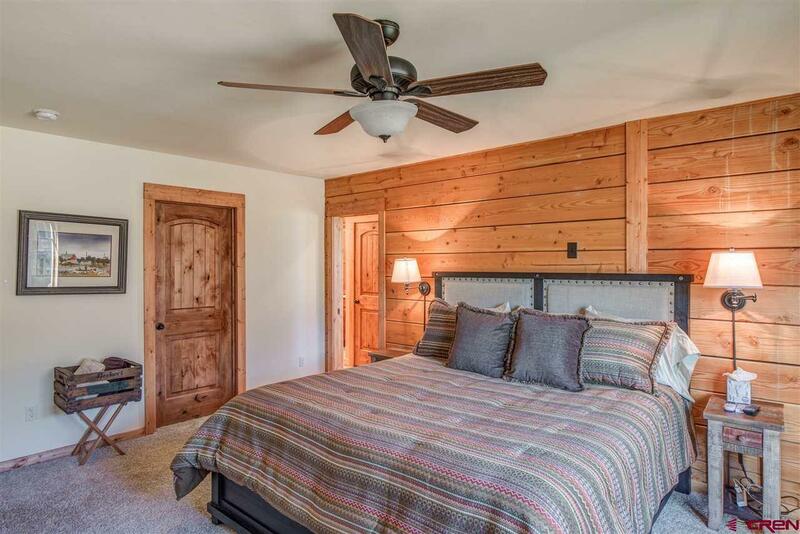 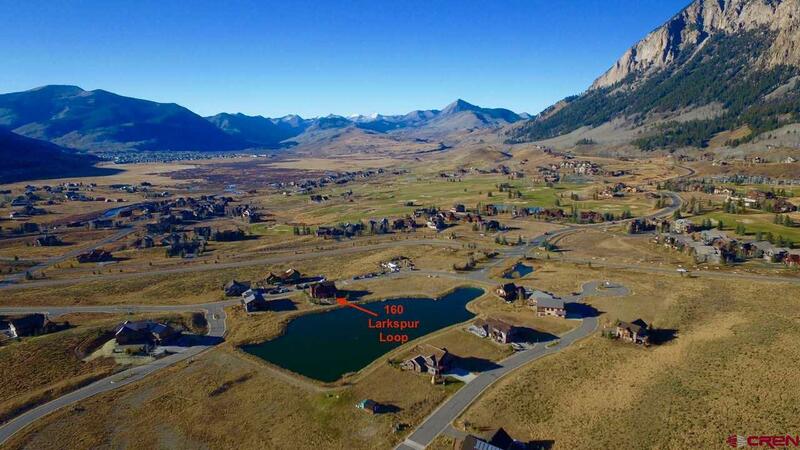 The newer Larkspur community is located next to the Skyland Golf Course and only about two miles from downtown Crested Butte. 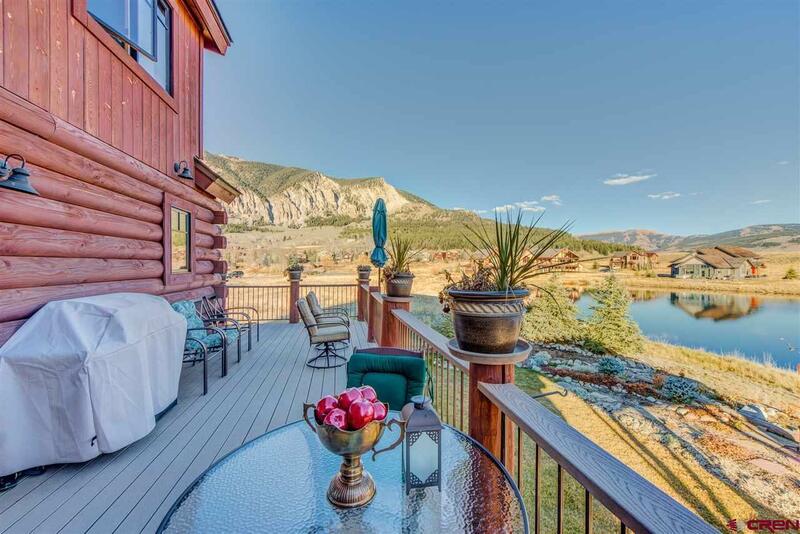 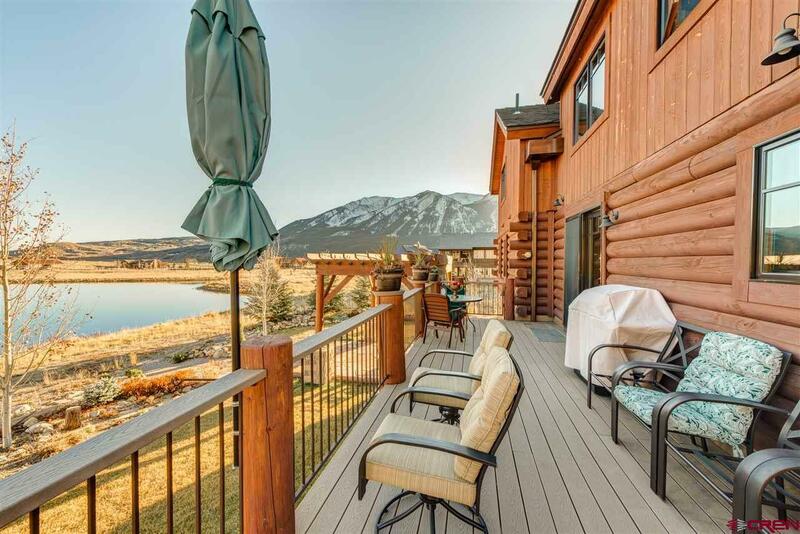 Two beautiful lakes highlight the wonderful views of Crested Butte Mountain, Paradise Divide and Whetstone Mountain. 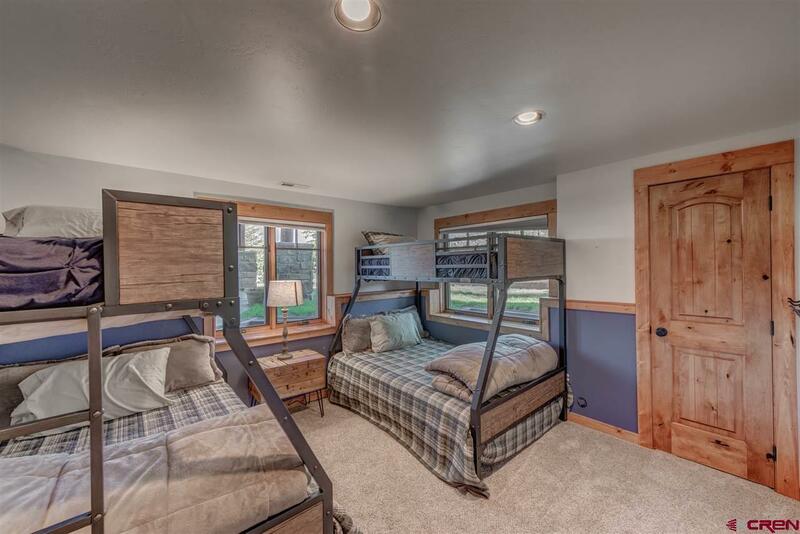 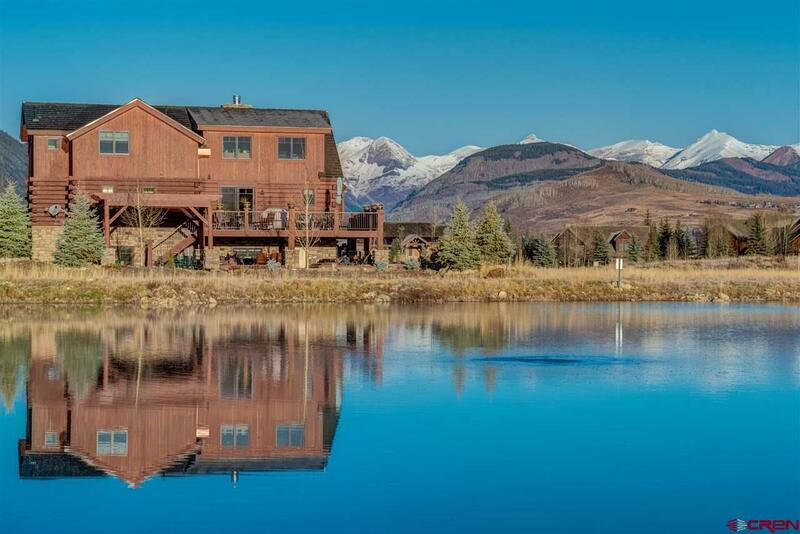 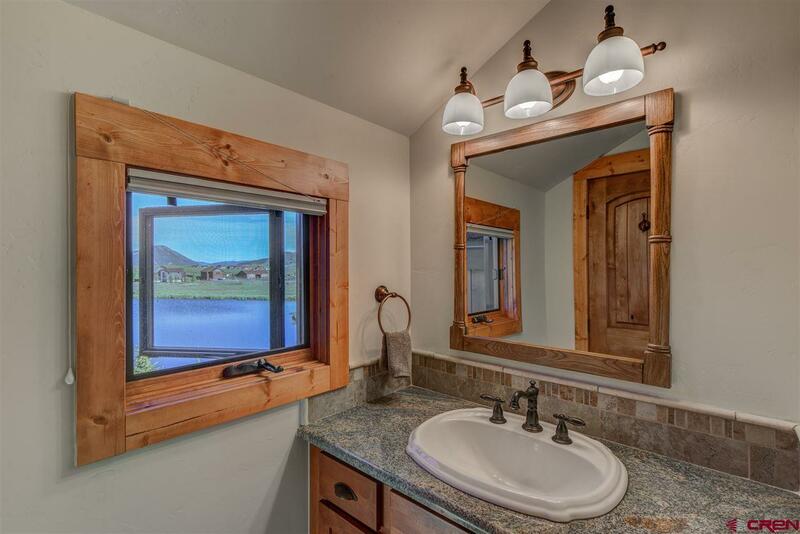 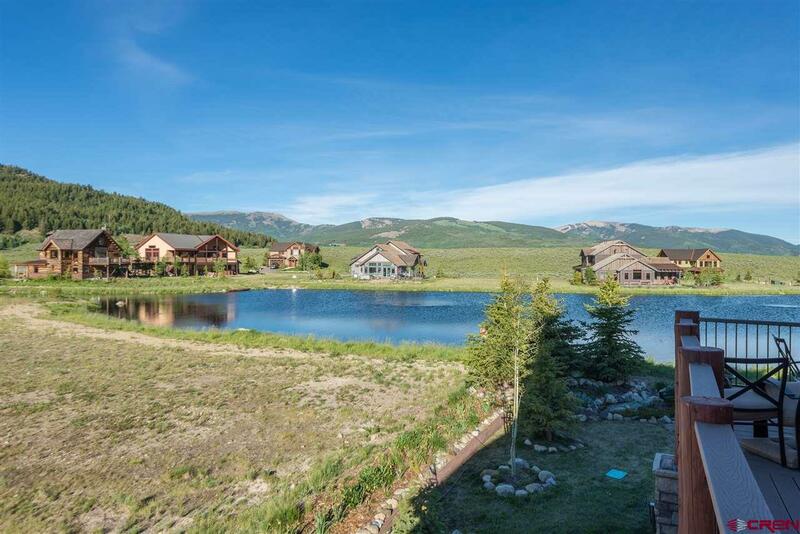 This subdivision features tennis courts, playground, and biking/walking paths that lead directly to many of Crested Butte's famous trails- kids can easily bike into school or town. 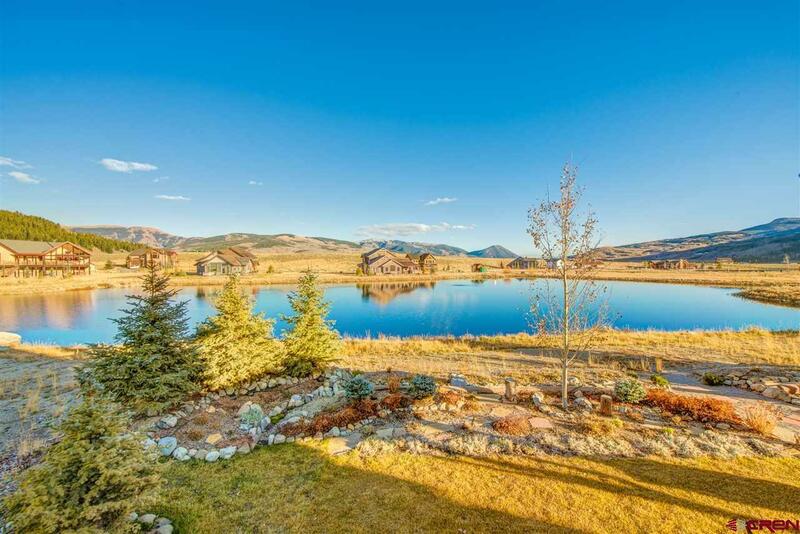 Paddle boarding, fishing and kayaking are just steps away from the beautifully landscaped backyard with flagstone patio.